California would not exist as it does today were it not for the extensive system of levees, weirs and flood bypasses that have been built through the years, particularly in the Sacramento-San Joaquin Delta. All that snow looks great, but when it melts, watch out L.A.
For the millions of Californians who live and work far from the Delta, it can be easy to overlook the splendor of the largest estuary in western North America. Whether you are one mile or hundreds of miles from the Delta, however, all Californians have a stake in the survival and preservation of this fragile, dynamic ecosystem that is also the keystone of the state’s water supply system. Chris Orrock of the California Department of Water Resources joins the podcast to chat with John Howard and Tim Foster about what this wealth of snow means for California’s water reserves and flood dangers, and the implications for wildfires later in the year. Five months after voters approved a bond measure to protect the waterfront from earthquakes and flooding from sea-level rise, San Francisco plans to start using the first batch of funds. Next week, The City is expected to introduce to the Board of Supervisors for approval a proposal to use $50 million of the $425 million Embarcadero Seawall Earthquake Safety general obligation bond approved by more than 80 percent of the voters in November. With an early-spring heat wave in the forecast, it’s time to start thinking about what a massive amount of snowmelt will mean for the state — that water has to go somewhere, after all. A “landmark” initiative aimed at restoring Carmel River floodplain habitat and helping reduce flood risks for homes and businesses along the lower part of the river and lagoon has reached a key phase with the release of its environmental review document. The state Department of Fish and Wildlife has been battling the destructive Nutria for two years. State biologists believe it will be another three years before they win the war against the pesky rodent. The nutria is considered a triple threat to Valley wetlands, agriculture and water delivery systems. The statewide snowpack has reached 160 percent of its annual year-to-date average and the snow-covered peaks of the Sierra Nevada can be seen from Highway 198. … But, if you think that’s a lot of rain, think again. Sunday marks the 113th anniversary of the 1906 flood, which filled Visalia’s downtown streets with about a foot of water. The water didn’t dissipate for 10 days. They are a semiaquatic South American rodent a bit smaller than a beaver. Females can give birth three times a year and have up to 12 babies each litter. They are really good at tearing up crops, burrowing tunnels into levees, and other destructive behavior that is tough on farmers. And they’ve been discovered in California’s San Joaquin Valley, a major food-producing area. A “major problem” in southeast Tulare County forced hundreds of people out of their homes and endangered thousands of animals. … Tulare County Sheriff’s Department was sent scrambling to notify residents in the area of Strathmore that Frazier Creek Canal spilled over and water levels were rising. Frazier Creek is directly linked to the Friant-Kern Canal. 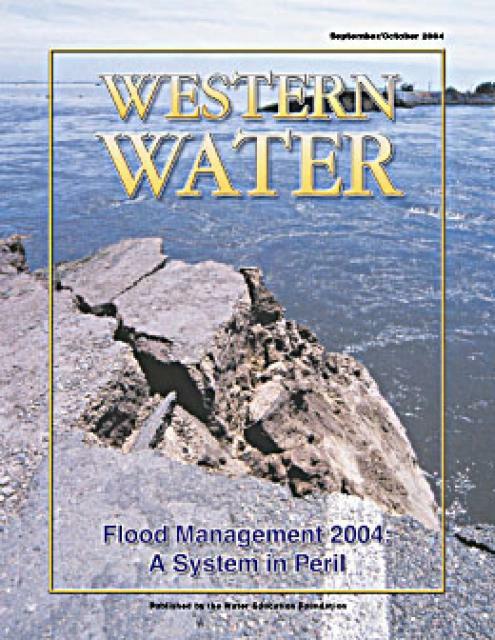 … Friant-Kern Water Authority officials later determined the flooding wasn’t caused by “overtopping” of the Friant-Kern Canal’s banks. The issue was drainage from Frazier Creek. The U.S. Army Corps of Engineers has issued a $35 million contract to continue the Sutter Basin Project – strengthening a stretch of Sutter County levees. 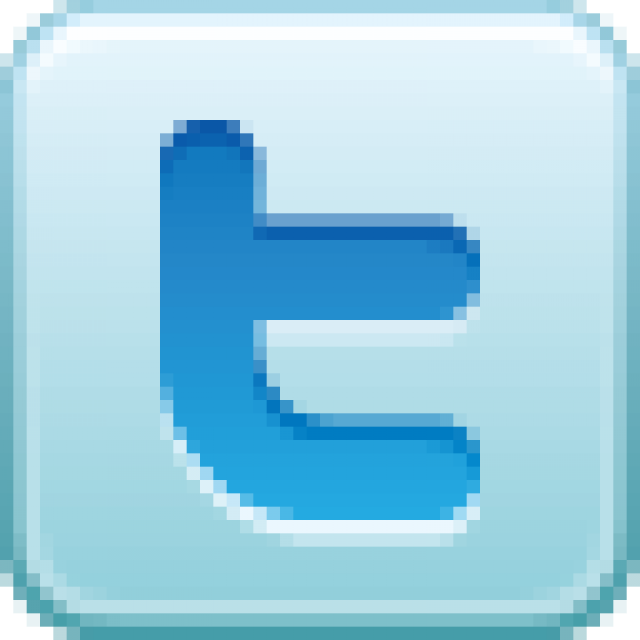 The project will allow repairs to continue on approximately five more miles of the Feather River west levee between Tudor Road and Cypress Avenue in south Sutter County, according to a press release from the corps. California’s San Joaquin River Delta is in danger of being overrun by voracious beagle-sized rodents. The state has a plan to deal with them, but it’s going to take a lot of time and money. Nutria, a large South American rodent, have become an invasive species in several states, including Louisiana, Maryland and Oregon. A new approach to flood management around the San Francisco Bay could trim maintenance costs for water agencies, restore habitat for endangered species, and help protect against rising seas. What links the three? Sediment. Winter storms push sediment down creeks that flow into the Bay and, long ago, these waterways fanned out when they reached the edge. Sediment settled there, nourishing tidal baylands — salt marshes and mudflats that are rich in wildlife, and also buffer the shore from storm surges, the highest tides, and sea level rise. Today few of these low-lying tidal baylands remain. The proposed tunnel path stretches 35 miles from west of Elk Grove to just below Discovery Bay. The tunnels would take water from three intakes along the Sacramento River to existing aqueducts south of Discovery Bay, and then the water will be sent to Southern California. Along the proposed path, there are at least 22 levees that would sit above the tunnels…. The concern is not so much the levees themselves, but the kind of soil that is below the levees. The nutria invasion of California continues. Greg Gerstenberg, a biologist and nutria operations chief with the California Department of Fish and Wildlife, said 372 nutria had been trapped in the state as of Jan. 10. Bruce Blodgett, executive director of the San Joaquin Farm Bureau Federation, wants farmers and others who maintain levees to be aware. Land subsidence from overpumping of San Joaquin Valley groundwater sank portions of the Friant-Kern Canal, the 152-mile conduit that conveys water from the San Joaquin River to farms that help fuel a multibillion-dollar agricultural economy. A plan to fix it helped sink the $8.8 billion Proposition 3 bond measure last November. Now San Joaquin Valley water managers are trying to figure out another way to restore the canal, not only to keep farmers farming, but to aid the valley’s overtaxed groundwater aquifers. By Gary Pitzer in Western Water. The work to provide Yuba-Sutter with the highest level of flood protection possible isn’t yet complete, but the levees are much better today, having had the oversight expertise of the head of the Sutter Butte Flood Control Agency. After more than seven years with the agency, SBFCA Executive Director Mike Inamine announced he would be leaving this week for a job with the California Department of Water Resources. Officials have given President Trump a plan to divert funds designated for Army Corps of Engineers projects in California and Puerto Rico to help pay for a wall along the southern border, a leading member of Congress said Thursday. 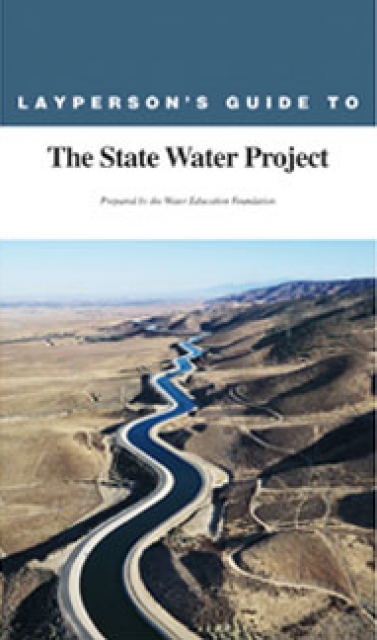 … The projects include raising the height of Folsom Dam on the American River in Northern California, protecting Lake Isabella in Kern County from leaking as a result of earthquakes, enlarging the Tule River and Lake Success in the Central Valley and building shoreline protections in South San Francisco. In February, following a string of severe natural disasters in 2017, Congress provided a record $16 billion for disaster mitigation — building better defenses against hurricanes, floods and other catastrophes. Eleven months later, the Trump administration has yet to issue rules telling states how to apply for the money. At the confluence of the San Joaquin and Tuolumne rivers, a few miles west of Modesto, work crews removed or broke several miles of levee last spring and replanted the land with tens of thousands of native sapling trees and shrubs. It’s part of a growing emphasis on reconnecting floodplains to rivers so they can absorb floodwaters. This shift in methodology marks a U-turn from past reliance on levees to protect cities and towns. At the confluence of the San Joaquin and Tuolumne rivers, a winter of heavy rains could inundate about 1,200 acres of riverside woodland for the first time in 60 years. That’s by design: Here, a few miles west of Modesto, work crews removed or broke several miles of levee last spring and replanted the land with tens of thousands of native sapling trees and shrubs. Not long after the Gold Rush of 1849, California became a state and made its capital in Sacramento. It seemed a logical choice. The city was served by the two of the state’s biggest rivers, the Sacramento and American, at a time when a lot of goods and people moved via river traffic. It was somewhat centrally located. But, there was the occasional flood. Every spring, the snowcap in the Sierras melts, leaving a significant amount of water in the Central Valley, where Sacramento sits. The city engineered a levee system to control the seasonal flooding. The U.S. Army Corps of Engineers will begin advertising for bids on a Feather River West Levee construction project estimated at $77 million. According to a staff report published earlier this year by the Central Valley Flood Protection Board, the project would make improvements to approximately 4.9 miles of levee. Merced County sweet potato farmer Stan Silva hadn’t even heard the word “nutria” until a few months ago. He’s still never seen one, but he’s worried about the damage these 20-pound rodents with big orange buck teeth could do in California if they’re not eradicated. “It would be devastating,” Silva says. “They can basically ruin the ag industry here — they get in your fields, burrow into your canal ways, your waterways.” They can also tear up crops and levees, making the state’s water infrastructure more vulnerable. Marysville is one step closer to being the most protected city in the Central Valley from flooding, experts say, with the recent completion of a stretch of slurry wall in part of the ring levee project. Last week, crews completed a portion of the Marysville Ring Levee project – Phase 2A North – located between the 10th Street and Fifth Street bridges. Two-hundred members of the California Conservation Corps from as far away as San Diego and Fortuna descended on a Delta levee bordering southwest Stockton’s Van Buskirk Park on Tuesday to practice their flood control skills. … CCC Communications Director Dana Howard, also on hand to observe Tuesday’s training exercise, took the opportunity to announce the recent opening of the Corps’ first newly constructed facility in Northern California in decades. When it comes to flood fighting, the men and women who’ve worked for Levee District 1 have seen it all – from tragedy to triumph. Those still around have plenty of stories to tell. The public will have an opportunity to hear some of those stories during the district’s 150th anniversary celebration on Oct. 26. The district is responsible for operations and maintenance of 16.15 miles of levee spanning from Pease Road to Marcuse Road in Sutter County. When rivers flood now in the United States, the first towns to get hit are the unprotected ones right by the river. The last to go, if they flood at all, are the privileged few behind strong levees. While levees mostly are associated with large, low-lying cities such as New Orleans, a majority of the nation’s Corps-managed levees protect much smaller communities, rural farm towns and suburbs such as Valley Park [Missouri]. A steady stream of trucks has started carrying dirt to what will be a new levee to protect Hamilton City. The trucks started rolling Monday, carrying dirt from a pile at the north end of Canal Road that is left from the excavation of the Glenn-Colusa Canal. Could West Sacramento be forced to pay up if river floods? Mayor and residents disagree. The West Sacramento City Council voted 4-1 last month to begin a process that would convert an independent district in charge of levee management into a subsidiary of West Sacramento, and allow the council to replace the district’s board of directors with appointees or the council members themselves. Reclamation District 900 has operated independently since 1911, managing 13.6 miles of levees that provide flood protection along the Sacramento River. 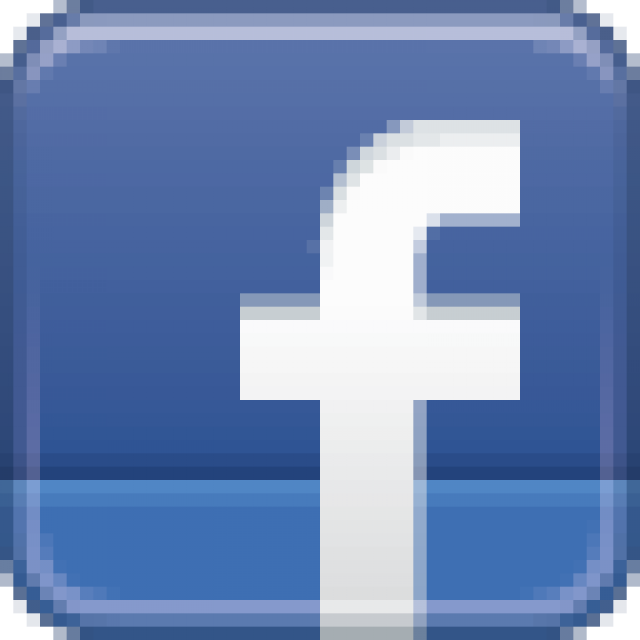 The Army Corps of Engineers announced Monday that the additional money would be available to the Hamilton City Flood Damage Reduction and Ecosystem Restoration Project in the current fiscal year. … It is the first in the nation being constructed under the Corps’ guidelines to develop projects that include both flood risk reduction and ecosystem restoration. Sometime after Tim Pelican arrived at work Monday, a farmer stopped by to deliver a package to San Joaquin County’s agricultural commissioner. The farmer’s package contained a dead nutria, a 2½–foot-long, 20-pound beast that looks like a beaver but is smaller and has a round, ratlike tail and white whiskers. Along the banks of the Sacramento-San Joaquin Delta in Oakley, about 50 miles southwest of Sacramento, is a park that harkens back to the days when the Delta lured Native Americans, Spanish explorers, French fur trappers, and later farmers to its abundant wildlife and rich soil. That historical Delta was an enormous marsh linked to the two freshwater rivers entering from the north and south, and tidal flows coming from the San Francisco Bay. 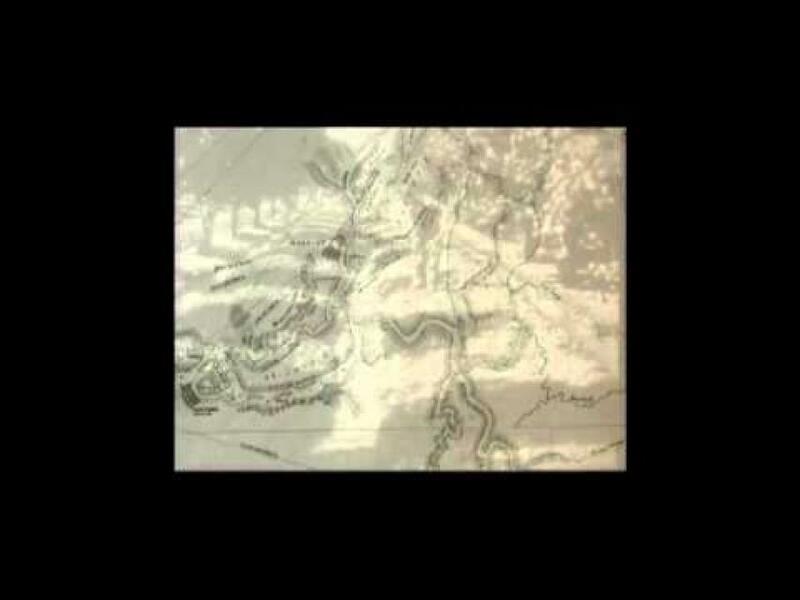 After the Gold Rush, settlers began building levees and farms, changing the landscape and altering the habitat. Modifications were made to construction plans for an upcoming phase of the Marysville Ring Levee project. … The Marysville Levee Commission, the Central Valley Flood Protection Board and the U.S. Army Corps of Engineers are proposing changes to their original plans for an area located along the existing levee to the southwest of Marysville, between the Fifth Street Bridge and E Street Bridge. The view from Don Murphy’s expansive backyard is breathtaking. The Sacramento River rolls gently past as birds float in the mid-winter fog. It is nearly silent, except for the infrequent car driving along a delta road across the river. … Now a fight is heating up over who should have access to that serenity. Faced with a shortage of money and political support after seven years of work, Gov. Jerry Brown’s administration is working on a plan to scale back one of his key legacy projects, a $17 billion proposal to build two massive tunnels under the Sacramento-San Joaquin River Delta to make it easier to move water from Northern California to the south. The Sutter Butte Flood Control Agency got to work on emergency levee repairs following last winter’s high waters and the Oroville Dam evacuation. Seepage, boils, sink holes and water erosion were signs of severe distress. The $28.5 million project, mostly funded by the state, is geared up to complete by Christmas. Considering the events of this past winter and the problems they posed to Yuba-Sutter levees, officials are confident the improvements made over the past several months will withstand the upcoming flood season. California needs to spend another $100 million a year to keep the state’s levee system sound, according to state flood control experts. At a press conference marking flood preparedness week Monday at a levee repair site near Sacramento, Bill Edgar, president of the Central Valley Flood Protection Board said the levees will need a $17 billion to $21 billion investment over the next 30 years to protect the seven million Californians at flood risk. The California Department of Water Resources and the Army Corps of Engineers are repairing 30 sites that suffered “critical” damage this winter and are preparing to fix another 10. Something monumental happened on August 25 in California water management that received almost no media attention: It became official policy to reconnect the state’s major rivers with their floodplains. The action by the Central Valley Flood Protection Board, an obscure panel appointed by the governor, clears the way for the state to embrace projects that allow floods to recharge groundwater. … The timing coincides with two other major state programs. After more than a century of building levees higher to hold back its rivers, California took another step Friday toward a flood-control policy that aims to give raging rivers more room to spread out instead. The heavy work is now underway on emergency repairs to the nearly 3 miles of levee protecting the heart of Yuba City. The Sutter Butte Flood Control Agency received federal approval Tuesday night to proceed wth the work. The engineers who scrambled to prevent Delta farms from flooding this year have long insisted that the levees surrounding those low-lying islands are not as fragile as they’re sometimes portrayed to be. Construction work on a portion of the Marysville Ring Levee – deemed by a federal agency as the “weakest link” in the city’s levees – began earlier this month along Highway 70. … John Nicoletti, a levee commissioner for Marysville, said the U.S. Army Corps of Engineers has assessed the ring levee and found that Binney Junction is the city’s most vulnerable point. The flooding is the result of more than a week of high temperatures that have rapidly melted mountain snow, filling Pine Flat Reservoir and prompting the Army Corps of Engineers to send a surge of water into the Kings River to make room for more runoff behind the dam. The river surge tested levees along the Kings in a way some residents has never expected. Water releases from Pine Flat Dam were ratcheted up Thursday as federal officials worked to prevent the reservoir from overtopping the dam. … Crews from Kings County and the Kings River Conservation District responded to a small breach in a levee on the south fork of the Kings River between Grangville and Highway 198. The Department of Water Resources invited downstream levee maintaining agencies and county emergency operators to a meeting in Oroville on Monday to discuss ways of improving operations and planning for future emergency situations. A worst-case sea level rise increase of 10 feet to 12 feet by the year 2100 would utterly transform Stockton as we know it today. Climate Central, a New Jersey-based climate science nonprofit, recently published maps depicting what this unlikely, yet still “plausible,” scenario might look like. A five year survey released by the California Department of Water Resources reveals half of the levees that guard California cities from a major flood don’t meet modern standards, and if a levee were to break in the wrong place, it could cut off the drinking water supply to the Bay Area for months or even years. The rain has largely stopped after one of the wettest winters in California. But as spring temperatures begin to climb and snow in the Sierra Nevada melts, the threat of flooding has communities across the Central Valley on edge. … The concerns are magnified in some areas by subsidence, a festering problem exacerbated by five years of drought in the Central Valley. Rivers were swift and wide this winter with heavy storms adding up to the wettest winter in 122 years. People who have lived in the Sacramento Valley for decades remember flooding from their youth, when towns were evacuated, homes were lost and topsoil washed away. Two bills that would protect Delta levees and ratepayers were passed in the Assembly Water, Parks and Wildlife Committee on Tuesday. Assemblyman Jim Frazier’s two bills — AB 732 and AB 791 — passed through their first hurdle. The Manteca Unified School District must pay to fund local levee improvements, just like any other property owner in the area, an appeals court has found. One attorney says the decision is good news for the small levee districts across the Delta charged with protecting farms and cities from floods. After millions of dollars of flood damage and mass evacuations this year, California is grappling with how to update its aging flood infrastructure. That has some calling for a new approach to flood control – one that mimics nature instead of trying to contain it. 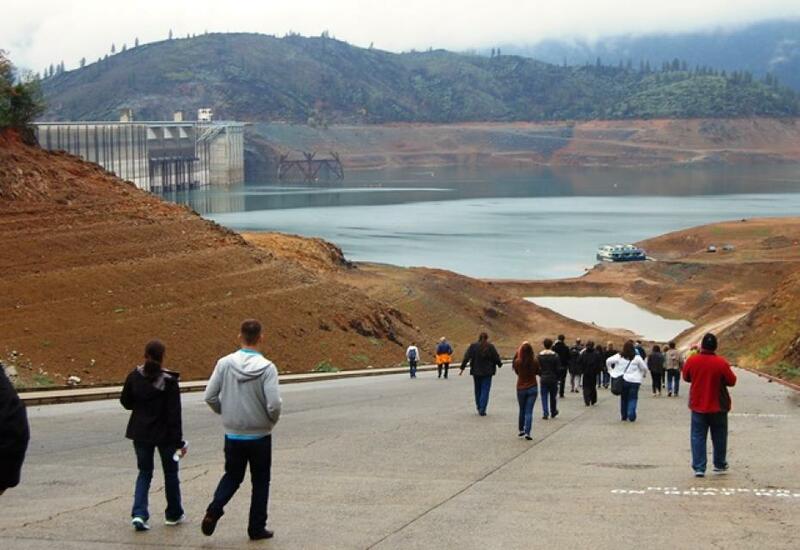 In the wake of a near disaster at Oroville Dam caused by heavy runoff and a damaged spillway, the former chief of flood operations for the U.S. Army Corps of Engineers said last week it may be time to reconsider how the reservoir is operated to avert such dilemmas. When state water officials scaled back their mass dumping of water from the damaged Oroville Dam this week, they knew the riverbed below would dry up enough to allow the removal of vast piles of debris from the fractured main spillway. Until a few weeks ago, the McCormack-Williamson Tract in the California Delta was an island of low-lying farmland, more than two square miles protected from the surrounding rivers and sloughs by earthen levees. Roberts Island hasn’t flooded severely since 1884. Yet here they are, fourth-generation farmer Mike Robinson and his son, Michael, spending their Friday night inspecting every inch of the 15-mile levee from a truck crawling along at 5 mph. Billions of dollars in flood projects have eased fears of levee breaks near California’s capital and some other cities, but state and federal workers are joining farmers with tractors in round-the-clock battles this week to stave off any chain-reaction failure of rural levees protecting farms and farm towns. A state management and local reclamation district in Yuba City say repairs are required to Feather River levees as they connect to the Highway 99 bridge. Splashes of sunshine and some modest bits of good news cast San Joaquin County’s flooding problems in a slightly more optimistic light on Tuesday. As the latest major storm to saturate California got in its final licks Tuesday, the state deployed all the weapons in its flood-control arsenal — including farm tractors, pontoon boats and controlled releases from mountain reservoirs. A 20-foot breach in a San Joaquin River levee that forced an evacuation order for a large swath of rural farmland was plugged by emergency crews late Monday, a levee engineer confirmed. Creeks and rivers topped their banks, hundreds of homes were evacuated and several thousand people found themselves trapped in a rural hamlet as Northern California emerged Tuesday from yet another winter storm. While crews kept up emergency levee repairs on Tyler Island on Tuesday, the San Joaquin River woke up and stretched her arms, finally reaching flood stage after languishing for several years as a weed-choked, drought-diminished trickle. Emergency work on a levee at the confluence of the Feather and Sacramento rivers started Monday, with officials hoping to prevent damage. In the years before California’s drought, it wasn’t unusual for Sacramentans to spend winters worrying about floods. After more than five years with little rain, the past two weeks delivered a bracing reminder that the region remains vulnerable to rising waters and overtopped levees. A levee break reported Monday afternoon on the north bank of the Mokelumne River levee near Lodi is being filled while crews are sandbagging a second break on the river’s south bank, the San Joaquin County Office of Emergency Services reports. A levee partially broke late Thursday in the Delta region of south Sacramento County, but officials said the problem was mostly patched up by nightfall. Flooding concerns intensified in the the Delta on Wednesday as huge volumes of water surged down creeks and streams into the low-lying river estuary. In the desert north of Interstate 10, channels carved into the sand by rushing water attest to the powerful floods than can suddenly sweep down from the Indio Hills during storms. A small-island owner already threatened with a $4.6 million fine by one state agency has been fined $772,000 by a state commission for changing levees and waterways to create a private kite surfing club for business executives. Outgoing Rep. Sam Farr addressed a 23-member panel bringing together local representatives from four counties, the U.S. Army Corps of Engineers, municipal flood control staff members and the two candidates running to replace him on Nov. 8, Casey Lucius and Jimmy Panetta. A project to rebuild the Wallace Weir, a century-old levee northwest of Sacramento, could help both farmers and salmon. Bringing together a coalition of unlikely allies, it promises a more sophisticated approach to water management. Since 1998 there have been slow but steady changes along the Sacramento River. … The next local project for River Partners involves the first phase of the J Levee project just south of Hamilton City. Three Rivers Levee Improvement Authority is in the middle of a $7.2 million construction project to bring the Western Pacific Interceptor Canal levee to the 200-year flood protection level. The U.S. Army Corps of Engineers has the go-ahead to begin a nine-part levee-improvement project for the Natomas Basin in Sacramento. 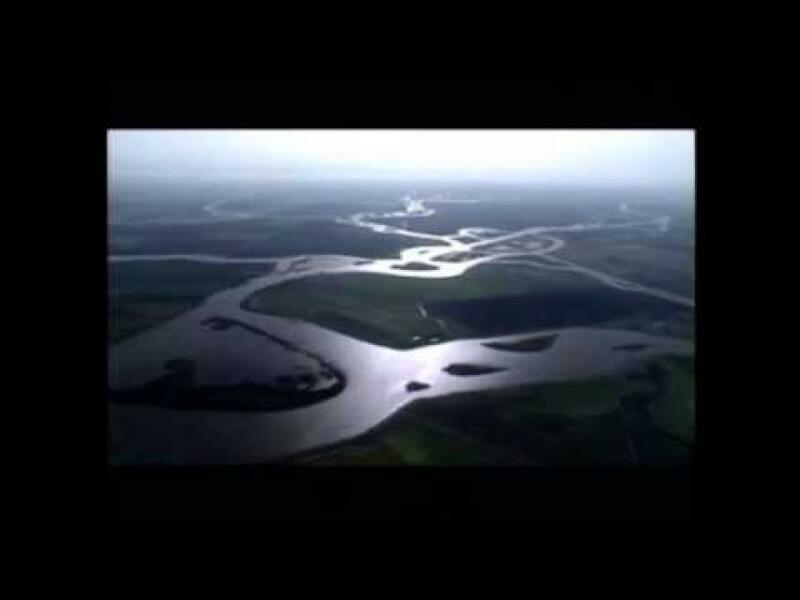 … The levees are part of a system that diverts watershed runoff into the American River. A new $37.2 million levee in the town of St. Helena, on the floodplain of the Napa River, has a colorful history and has been stirring local acrimony since its inception. … There are clearly positive elements of the St. Helena levee project, but also numerous missteps that have mired the project in dissent and even, opponents argue, threaten to bankrupt the town. With important planning and zoning decisions now pending, the St. Helena levee is a case study for other communities to examine before they consider all of the options for flood-risk management. Years of rumbling dump trucks and backhoes placing 2.75 million tons of rock “armor” along nearly a dozen miles of riverbank is an unpleasant thought for many who bike, jog, fish, bird-watch, golf, boat and swim along the lower American River Parkway. New research shows people living behind levees on flood plains may have a greater risk of flood damage than if the levees had not been built. The research examined the long-term flood risk, probabilities of levee failures and resulting economic losses along the Mississippi River, but the science applies to levee systems worldwide. The $4.1 trillion spending plan offers familiar funding levels for border control, Central Valley levees, Sacramento-San Joaquin Delta restoration and military base improvements. Thirty-two-million dollars for Sacramento levees is in President Obama’s budget request for the next fiscal year and in the Army Corps of Engineers’ work plan for this year. In a milestone for San Francisco Bay restoration that also raises questions about who should pay to protect property from rising seas caused by climate change, a low-profile government agency is expected to place a $12 annual parcel tax on the June ballot in all nine Bay Area counties. Officials of the city, county and Army Corps of Engineers announced Friday that there will be $3.6 million in emergency federal funding for flood prevention measures along the Los Angeles River following the first El Niño-related storms this week. The U.S. Army Corps of Engineers will begin work next week to temporarily raise the banks along nearly three miles of the Los Angeles River to improve flood protection during El Niño storms, officials announced Friday, just days after the watercourse roared to life during heavy rains. Federal disaster officials warned Tuesday that El Niño-fueled storms in California could inflict millions of dollars in damage this winter — from mud-soaked homes to broken levees to downed electrical lines — and said they’re taking steps to minimize the toll. The funds, from the Department of Water Resources’ Flood Systems Repair Program, will allow the Sutter Butte Flood Control Agency to improve a section of levee near Laurel Avenue south of Star Bend, further expanding a multi-year project to raise the flood protection in urban and rural areas to 200- and 100-year levels, respectively. A state plan to prioritize levee upgrades in the Delta is drawing criticism from independent scientists. It’s one thing to read about crumbling water infrastructure, another to bump down a road, beneath water level, after freaky July rains in the middle (end? beginning?) of an epic drought. Work is underway in Butte County to shore up Feather River levees that date back to the pioneer era. After months of delay, work on a Feather River levee repair project north of Yuba City has resumed. The plan by the U.S. Army Corps of Engineers calls for improving 23 miles of levees, from Mosher Slough in the north to French Camp Slough in the south. This is intended to protect much of Stockton from catastrophic floods worsened by climate change. The Sonoma-Marin Area Rail Transit agency and the state Department of Fish and Wildlife are involved in a dispute over a failed levee that is flooding sensitive wetlands near the Mira Monte Marina. Yuba City officials lobby for levee funding in D.C.
Local officials took steps to acquire federal funding for the Feather River West Levee project during a lobbying trip last week to Washington, D.C. Flooding may seem a distant threat at the moment, but that’s the subject of a meeting Monday as a state agency pushes forward with a study of which Delta levees should be first in line for future funding. The Sutter Butte Flood Control Agency has been given another week to decide what to do with hundreds of Native American remains and artifacts dug up by construction crews last year. A massive new round of levee improvements is ahead for Sacramento over the next decade, this time focusing primarily on the Sacramento River south of downtown. 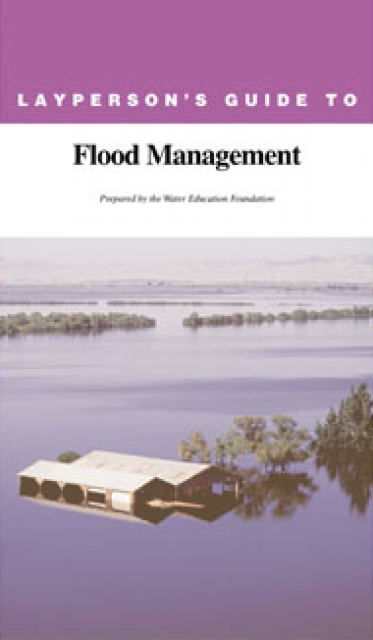 … The U.S. Army Corps of Engineers and Sacramento Area Flood Control Agency unveiled the package of projects recently and are planning a series of public meetings in April. When the sun is shining and our rivers are low, we tend to forget about levees. 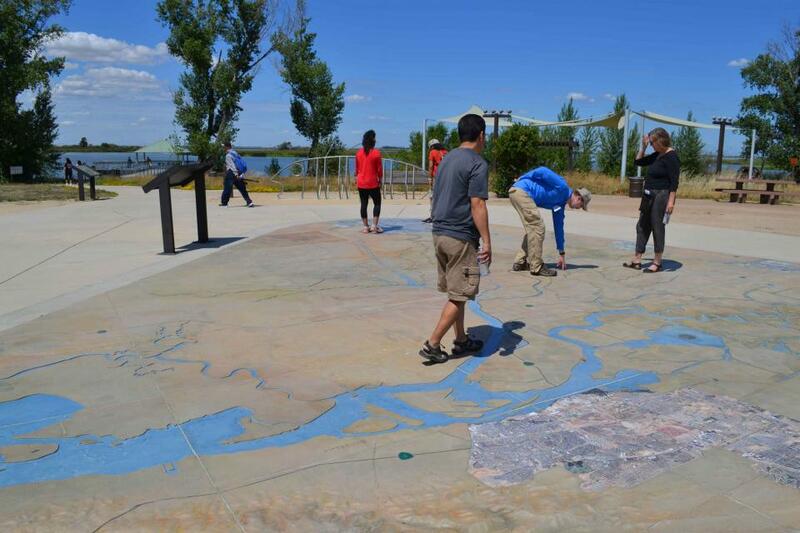 However, you can’t ignore the 1,100 miles of levees in the Sacramento-San Joaquin Delta. 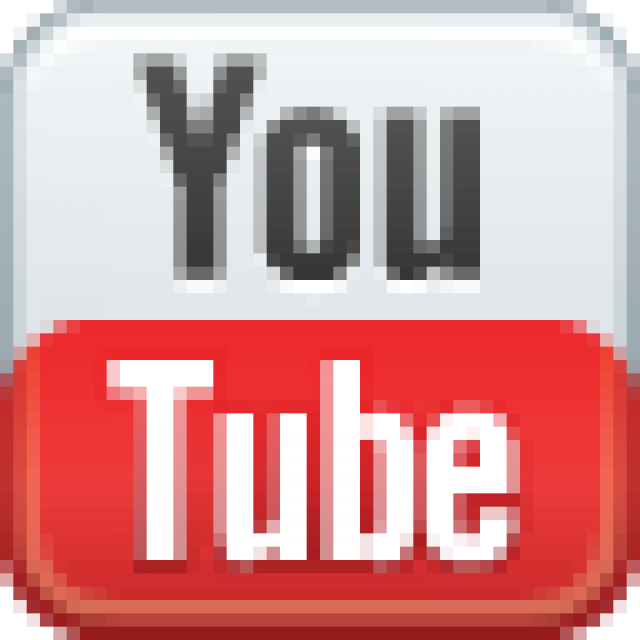 … This video is a simulation of what would happen if a severe earthquake hit the western Delta, causing widespread failure of levees. The parties in a dispute over the fate of cultural materials discovered in Sutter County have expressed a willingness to solve the issue, but the path toward an agreement remains uncertain and time is short. The U.S. Army Corps of Engineers and the [United Auburn Indian Community] UAIC disagree about the return of the items uncovered last summer during the Feather River West Levee project, even as both sides meet to resolve the issue. 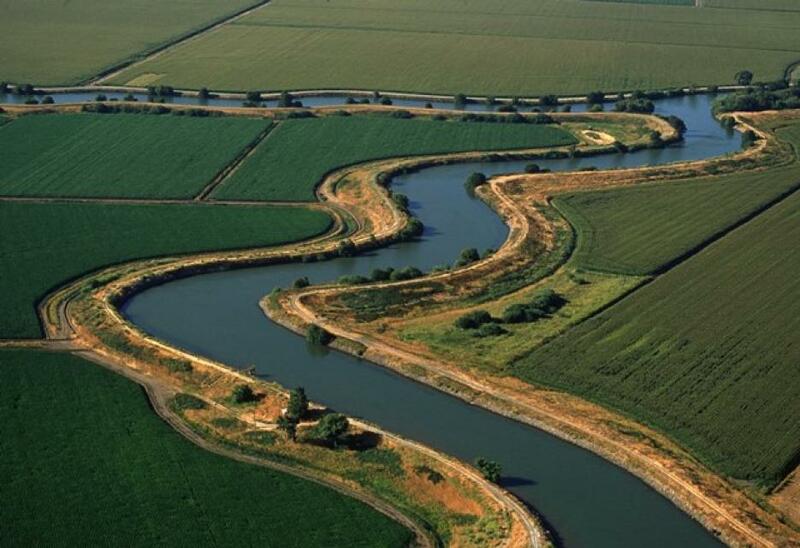 The Delta Levee Investment Strategy project is an 18-month multi-agency effort led by the Delta Stewardship Council to update priorities for state investments in Delta levees. 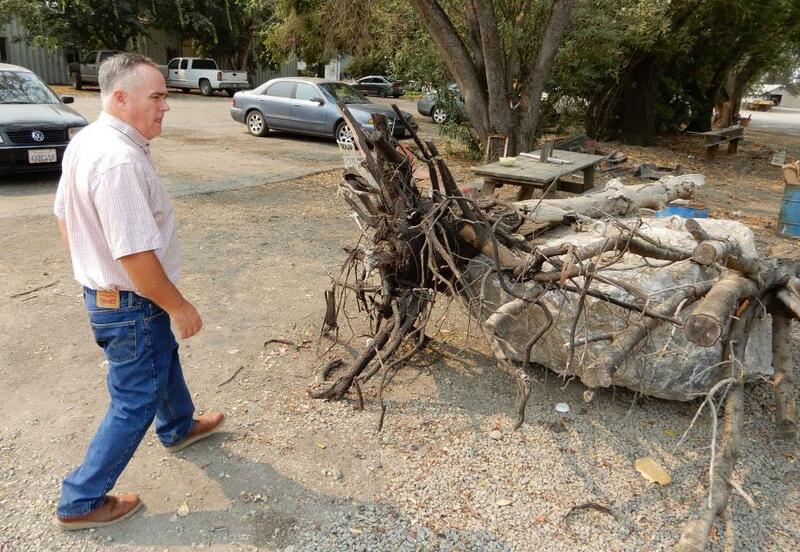 Small half-inch to 1-inch beetles — or at least the bushes where they live — will continue to be a costly obstacle for those who maintain or fix Yuba-Sutter levees. 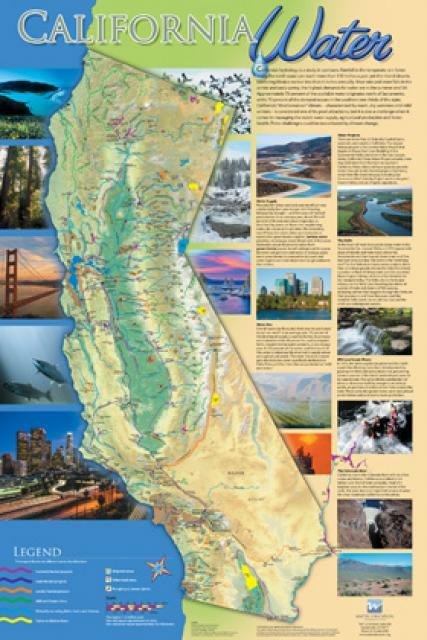 The Delta, convergence of California’s two great water delivery systems and major rivers is depicted in this 36×24 inch map. 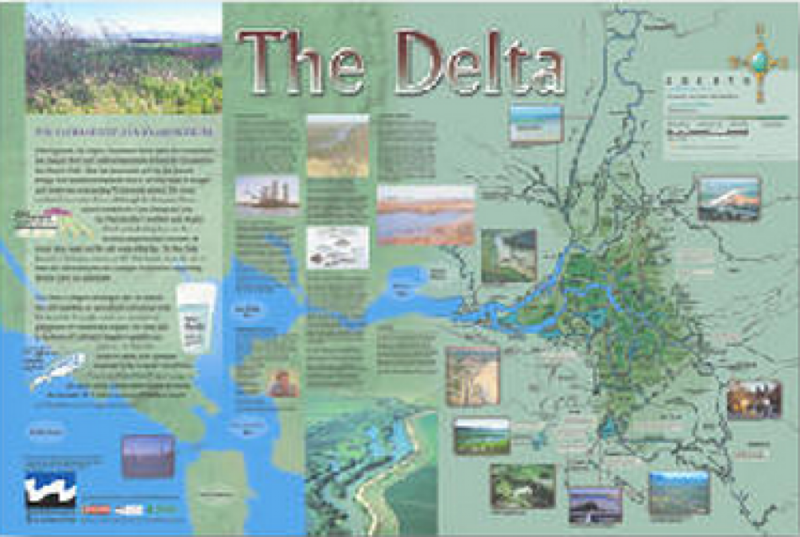 The map graphically depicts the importance of the Delta — what it is, where it is and how water flows through the area. 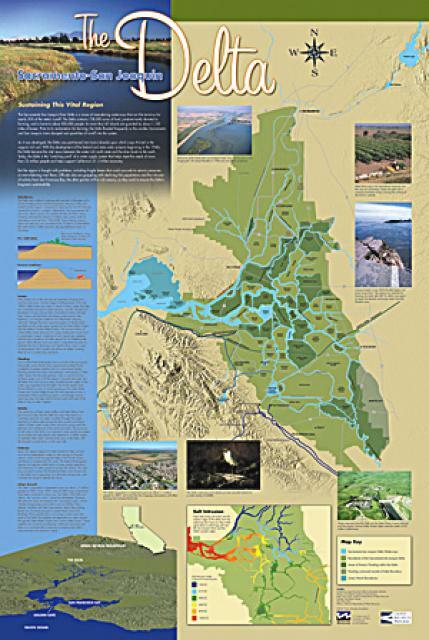 The 2001 map now includes Delta waterways, pumping facilities and canals, Los Vaqueros Reservoir, and many proposed projects and studies in CALFED’s 2000 Record of Decision. With the Sacramento-San Joaquin Delta crucial to California’s overall water supply, roughly 1,115 miles of levees protect farms, cities, schools and people. Since the 19th century, levees—from the French word ‘lever’, or ‘to raise’— have been erected to protect “reclaimed” marshland, popularly referred to as Delta islands. The levees were built to prevent flooding and allow cultivation of the rich soil while protecting public infrastructure such as highways and pipelines. These levees have been in place dating back to 1850, when California first joined the union. 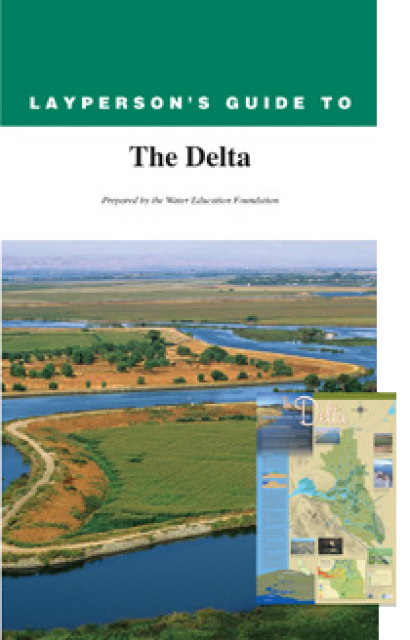 This issue of Western Water looks at the BDCP and the Coalition to Support Delta Projects, issues that are aimed at improving the health and safety of the Delta while solidifying California’s long-term water supply reliability. How Much Water Does the Delta Need? 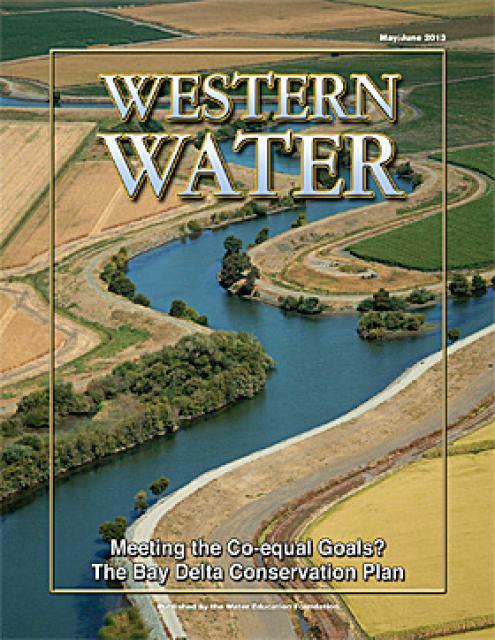 This printed issue of Western Water examines the issues associated with the State Water Board’s proposed revision of the water quality Bay-Delta Plan, most notably the question of whether additional flows are needed for the system, and how they might be provided. 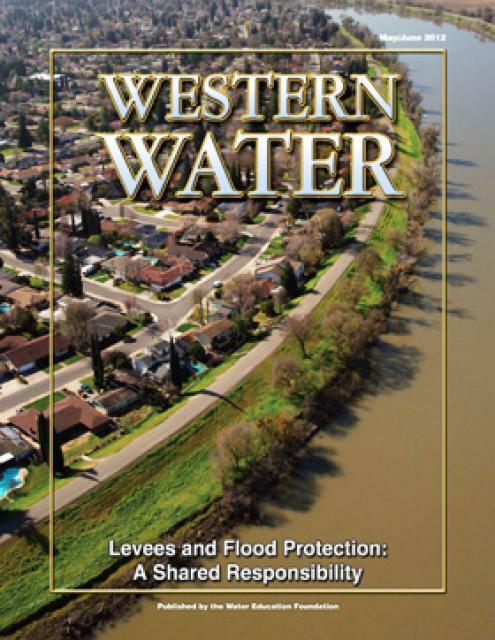 This printed issue of Western Water discusses several flood-related issues, including the proposed Central Valley Flood Protection Plan, the FEMA remapping process and the dispute between the state and the Corps regarding the levee vegetation policy. Levees are one of those pieces of engineering that are never really appreciated until they fail. California would not exist as it does today were it not for the extensive system of levees, weirs and flood bypasses that have been built through the years. 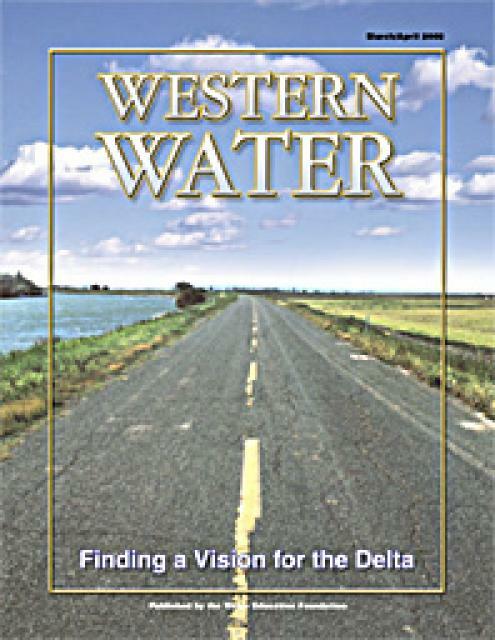 This printed copy of Western Water examines the Delta through the many ongoing activities focusing on it, most notably the Delta Vision process. 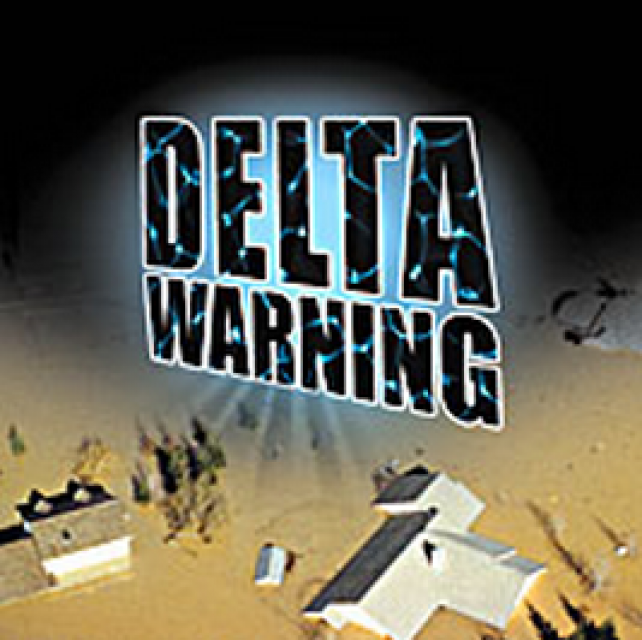 Many hours of testimony, research, legal proceedings, public hearings and discussion have occurred and will continue as the state seeks the ultimate solution to the problems tied to the Delta. 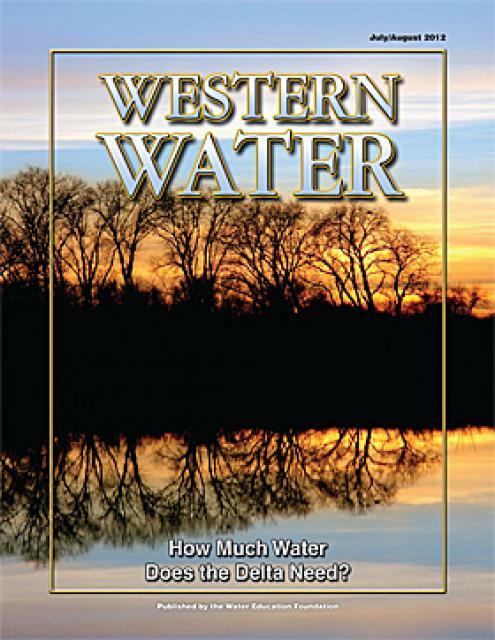 This printed copy of Western Water examines climate change – what’s known about it, the remaining uncertainty and what steps water agencies are talking to prepare for its impact. Much of the information comes from the October 2007 California Climate Change and Water Adaptation Summit sponsored by the Water Education Foundation and DWR and the November 2007 California Water Policy Conference sponsored by Public Officials for Water and Environmental Reform. 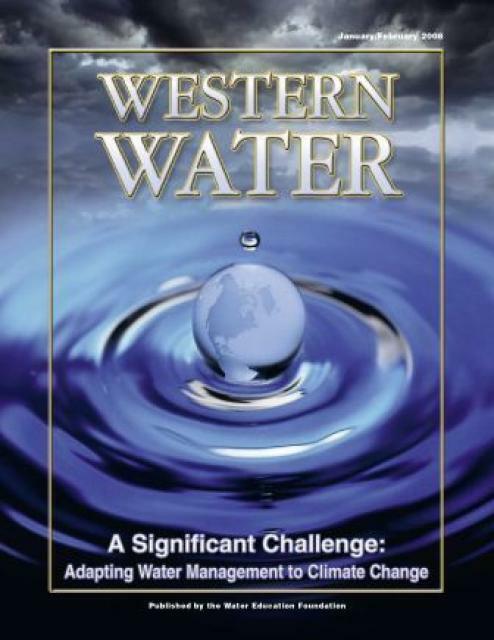 This issue of Western Water examines the extent to which California faces a disaster equal to or greater than the New Orleans floods and the steps being taken to recognize and address the shortcomings of the flood control system in the Central Valley and the Delta, which is of critical importance because of its role in providing water to 22 million people. Complicating matters are the state’s skyrocketing pace of growth coupled with an inherently difficult process of obtaining secure, long-term funds for levee repairs and continued maintenance. 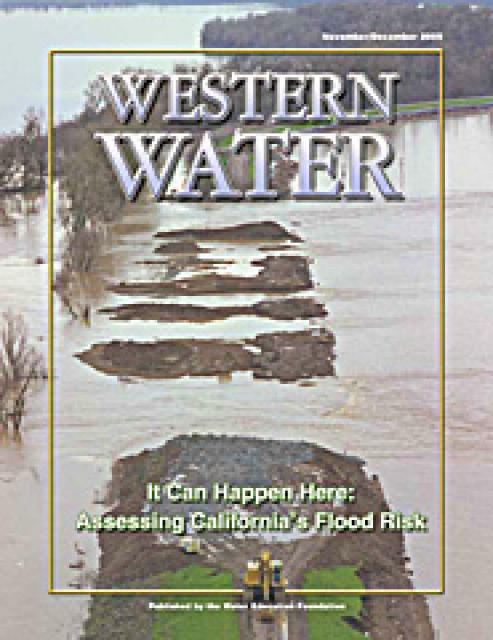 This issue of Western Water analyzes northern California’s extensive flood control system – it’ history, current concerns, the Paterno decision and how experts are re-thinking the concept of flood management.